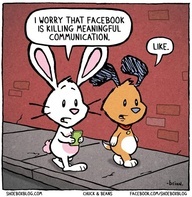 Posted on July 26, 2012 by mimijk •	This entry was posted in discretion, inspiration, leadership, life lessons, management, mindfulness, motivation, work life and tagged Juggling. Bookmark the permalink. Sage words, dear friend. Having experienced firsthand the “fallout” from the relentless race to the top, I can safely say that “focusing a bit more on that kiss” is the better course of action, at least for me. Thx for addressing the issue so cogently. I’m with you Lori – I will remember the kiss, far longer than I will remember the race. I don’t begrudge professional success – I am proud of what I’ve accomplished and how far behind the eight ball I was when I started. I just think it’s important to know when you have achieved enough to make you really proud of yourself without having sacrificed the people and pursuits that you value the most. This one is getting printed out and hung somewhere I can see it. I’ve been saying this for the last year or so to everyone that would listen, but you have said it so much better than I ever could. I’m also sending it to all of my kids. The earlier they hear these words the better! Thank you. I love this and am starting to learn it myself. Wise words for a thoughtful Thursday! 🙂 It is hard when you feel the pull of ambition…kind of torn between the heart and the mind. But I have been trying to let my heart win more and quiet the mind. Thanks for an important reminder. Ambition is seductive – and by no means am I suggesting that one not feel the personal pride of accomplishment. It’s awesome. It’s brilliance in my view is only dulled when one looks around and realizes that the pursuit of more, more, more can exacted a cost to dear to pay. Absolutely. 40 feels like a complicated age for making these decisions. I feel like I haave a lot of opportunities to do more and take on more responsibility, but I am trying to be very conscious about the big picture impact on the balance of my life and on the impact on my relationships. But sometimes I second guess my choices. I guess I might do that either way. Thanks for making me think! Great quote but what else was he doing when he picked out those shoes. Lol – I actually looked at them and thought of these geeky little sandals I am ashamed to admit I put on the boys when they were toddlers. I quickly realized the errors of my ways!! Wish there were a “Love” or “Amen” button. Consider those imaginary choices selected. Lol..yeah, i’d definitely say he was a little fashion-challenged.. I will take the kiss ,the time with those I love, the magic in everyday over the brass ring we try and make fit on our finger.pretty much how I have lived my life . Great post Mimi. I love how you write ‘the brass ring we try and make fit on our finger’. So true – I’m very appreciative of the substantive life choices you have made Angus..truly. I had no idea either – just wish someone had helped him a little with his fashion sense! 🙂 ps..I liked him in ‘IQ’ too!! Al always looked at something with a questioning attitude of is it beneficial? I would have to agree with him, the kiss is infinitely more beneficial than the driving. I worked for fifteen years for a big famous media corporation. I sacrificed all my free time. I made a lot of money. But fifteen years was enough. I work for a small company now, in a much lesser position. I have my life back – and just in time to enjoy it. I love that Lily Tomlin quote and have used it in quite a few presentations. There is truth in all humor – and unquestionably her observation is pretty spot on..
I’m so glad you like the design – I wish I could take some credit for it, but I tried it by accident, and just decided to keep it for a while and see if it grows on me (it is)..I think these questions you pose have to be asked, as I discuss these very same issues with my sons and daughters-in-law. One can have it all – with the caveat that ‘all’ doesn’t happen all at once, and certain priorities (like children and spouses) should never have to pay the price for our choices.. Wonderful post as usual from you, Mimi. I wonder if one dirty little secret from the rat race is that we often think that the other rats have it all figured out, and we just have to run the maze a little faster. You know…the sizing up of “She works fourteen hour days, runs marathons and is a gourmet cook- why am I an underachiever?” My hunch is that if we stopped measuring our capabilities against mirages that really don’t exist, but instead measured our efforts to get a little better every day, we’d radically increase the happiness in the world. 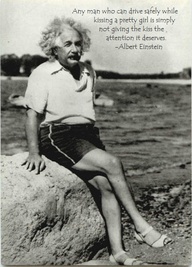 I’m not sure if I am offended or complimented that Einstein and I wear matching sandals. I choose complimented. Maybe he had the same taste in handbags, too… ;). And I love the post. Stellar as always! Oh let’s go with complimented and also agree that whatever you wear unquestionably looks better on you! Beautiful advice – thank you for the reminder!! Terrific post Mimi. Running out of adjectives. (And since I can’t use “very”, I’m like a fish out of water.) Have me thinking…and concluded that it’s all a fine balance. Good for you David!! That means that you’re in a good place and no longer feel the need to make yourself nutso with crazy self-talk, right? Right? Lol…ok, me neither..
She ain’t dumb. And this post Rocks! As do you…and GREAT choice on the music! The price of the “brass ring” –laid out so practically. Even those of us outside corporate America can see personal applications! Once again, Thank You. 🙂 So happy you stopped by!! Another excellent post and message, Mimi. Please keep them coming!